1. What is your first memory of music or the moment you realized music would be something important in your life? When I was in second grade, I bought a very cheap plastic harmonica at a toy store. I learned to play Happy Birthday by ear and I played it for my music teacher. I probably played very poorly - it was just the worst version ever - but she encouraged me to keep playing and learning. 2. 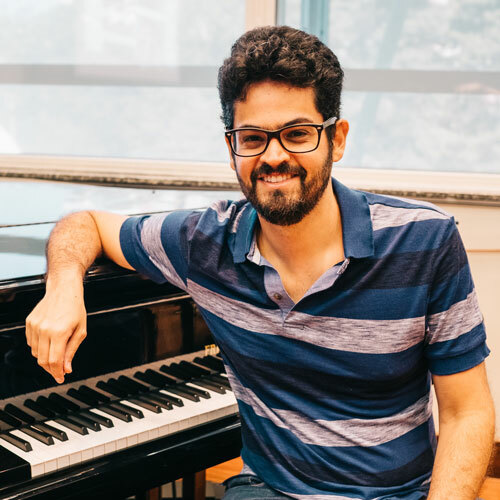 What class at the University of São Paulo (USP) gave you the best tools for your current position as music teacher? During my cello classes, my professor forced us to go to all his concerts. It was hard to do every weekend, but it was an amazing experience. I probably learned 90 percent of what I know just by listening to him play. I learned with that the best way to learn music is to listen to a good player perform. It is much more important than listening to an explanation of the music. I try to do that with my students all the time. When I can, I prefer to play for them or along with them rather than explain things to them. 3. What sound drives you crazy? 4. When and why did you decide to become a music teacher? I started teaching guitar to my friends in middle school when I was 12 years old. My classes weren’t expensive - only R$10 per class - that by the time I was 14, my schedule was completely full. My passion for music and teaching started at this time and at the end of high school, I chose to follow my passion and become a music teacher. I see myself as a student of the art of music much more than as a teacher. My students and I are all learning, the only difference is that we are at different levels. 5. What is your goal for those you teach at Graded? My main goal is to make students feel the same passion for music that I feel. If that happens, I am happy. 6. What is your favorite style of music and how often do you listen to it? Music is my passion and I listen to it all day long - while I am working, at home, and in my dreams. I listen to all styles of music. Of course, what I listen to changes with my mood and what I am working on with my students. I have been listening to the Beatles a lot these days since we are going to have a special concert dedicated to them in October. I am working on an arrangement of Eleanor Rigby for this concert, so that is the song that is playing inside my mind now. 7. If you could go back in time and have dinner with one composer or musician, who would you choose and why? Rossini for sure. Besides being a great composer, he was famous for his good cooking. 8. Who was your favorite teacher growing up and what did you like about him or her? I once had a guitar teacher who spent our entire first class playing every single song that I asked him to. This impressed and motivated me so much, that one class was probably the reason I became a musician. 9. What’s the secret to a long life? I love the close contact I have with students. 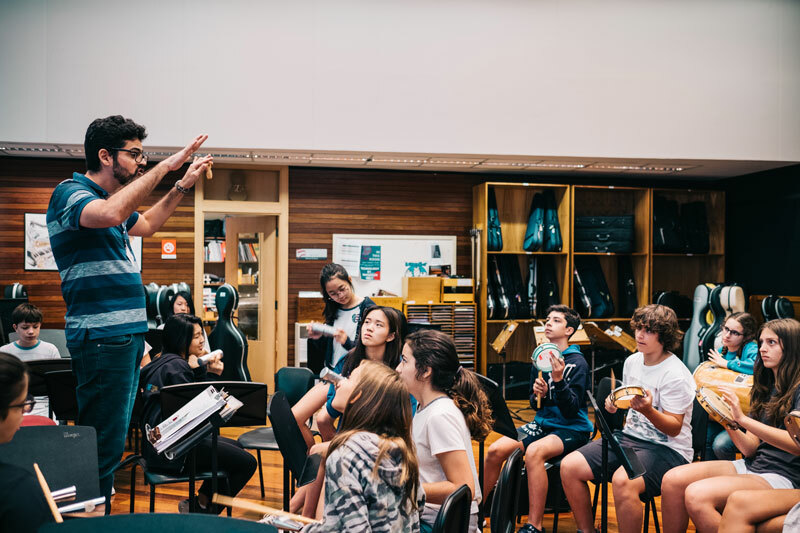 I especially love the opportunity to work with the same students all the way from grade 6 to grade 12 and see them grow as musicians and human beings.